To make matters worse, Steve’s coach walks up to him one day informing him that Steve was no longer a QB, he’d been demoted to defense. “I don’t coach lefties,” his coach walked off saying. Sure enough, Steve found out that every BYU Hall of Fame QB had been right handed- Steve Young was a leftie. A new coach meandering across the field saw the accuracy of Young’s throws & began lobbying to get him switched over to offense. Steve’s hard worked paid off…sort of…although he was back to the 8th QB, at least he was back on offense. With new hope, he began outworking others and moved through the ranks to the #2 spot. As “luck” would have it, the starter went down, and Young went in. Now I’d like to tell you the rest was history and it was all cupcakes and rainbows from there but it wasn’t. Steve played awful- in one half alone he threw 5 interceptions… in a short amount of time, Young had racked up more losses than McMahon had amassed in 2 years. Drafted by the Tampa Bay Bucs, he played poorly for 2 seasons, but once again someone saw a diamond playing in the rough. Bill Walsh, Head Coach of the San Francisco 49ers, brought Steve Young on board to back up legendary quarterback Joe Montana. Back on the bench again, the role and mission were all too familiar and Young used his secondary role to study & learn from one of the greatest quarterbacks ever. Montana & Young competed and jostled for the starting role-at one point, Young was relegated to a backup position when he was told he would be a starter. Young got his shot, secured the starting position and went on to become Super Bowl MVP, Hall of Famer, attorney, & sports analyst for ESPN. Nothing for Young came easy- even when he earned it, he found himself always having to prove himself…not so much to others, but to himself. Anything worth having will be hard. At times it’ll be thankless & humiliating… but it’ll all be worth it…some how, some way. While you may be deep on the depth chart in life-just because you’re not in the lead position…just because you’re not a starter doesn’t mean you shouldn’t think, study, & play like one. Don’t play up to the position you find yourself in today, play to your potential. Do the offline work- work that is meaningless to everyone but you…learn from those you back up-good or bad, don’t stand around hoping they fall, help them rise & in return you will too. Put in the work not knowing when “the day” will arrive- when is not your concern…what you do between now and when is. You put in the effort & the universe will supply the events and people to ensure it “just so” happens. And often it happens beyond your wildest imagination. But first you’ve got to play to your potential, not your current position. It matters that you show up on time for work. It matters-even if it’s 2 words or 2 sentences- that you find something worth writing down today that will help shape you into becoming better than you were before you captured it. It matters how quick and how many customers you are willing to get in front of today. It matters that you are brave enough to pick up the phone and risk hearing a customer reject you instead of hiding behind a text message. It matters that you ask your customer optimistic building questions instead of pessimistic, narrowing ones. It matters that your customers demo the vehicle. It matters that you write your customers up. It matters that you persistently press forward beyond the 1rst, third, and 4th No. It matters that you turn your customers over to let a fresh face help you. It matters that you follow through after the sale-you not only need your clients to make your month, you need them to make your career. It matters that you remain walking with your customers during the frustrating moments-the moments when the warranty they paid $2500 for won’t cover the repair. It matters that you follow up and stay in touch with your customers’ lives not their wallets. It matters that you help others regardless of what’s in it for you. It matters that you’re willing to be a student of your profession. You showing up today matters because everything you do (or don’t do) is significant to the outcome of your day, month, year, career, and your life. What you do matters, but the emphasis of those matters have the wrong meaning. When a customer gets annoyed because you can’t tell them a price or tell them what their trade is worth in the first 30 seconds of meeting them…. Failing matters, but it doesn’t give a meaning to what you are worth. 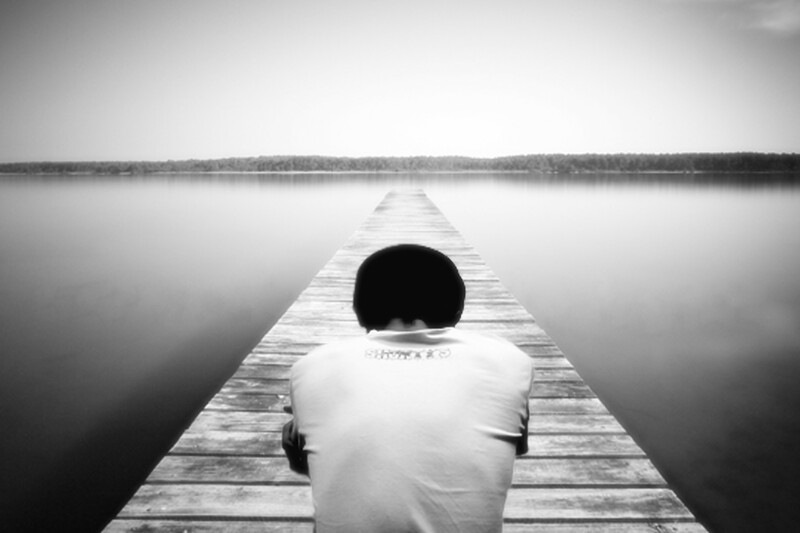 The ill moments-the moments when you screwed up, blew up, got yelled at, or were left standing alone should be tied to matters of the day not meanings of your heart. What you do has to matter-showing up today, facing the giants in your life, has to be worth it…if it’s not worth it, don’t show up. Pivot and find something worth showing up for. What you do today has got to be so significant- so important to you, that the implications of what you do is higher than the outcome that it may produce. The outcomes only define how well you did something- they don’t define who you are or what you’re worth. Rejection is a lesson in self-education not self-worth. Use the losses, defeats, setbacks, and almosts as education to move forward not excuses to fall back. While circumstances are the banality of most, you forge ahead, working and reworking today’s defeats into tomorrow’s victories. Sure rejection hurts- we don’t like the sting of hearing NO and the stains that it internally leaves behind; we don’t like the fact that we poured out two hours of our best efforts only to have our customer go down the road to save a few hundred bucks. Rejection hurts, but you must not let it kill you. Rejection has matter not meaning- the significance of what you do and how you do it matters. How much you’re willing to give to that matter is what has meaning. I’ll see you next time on the Blacktop. Having an under-inflated ball definitely has its advantages. 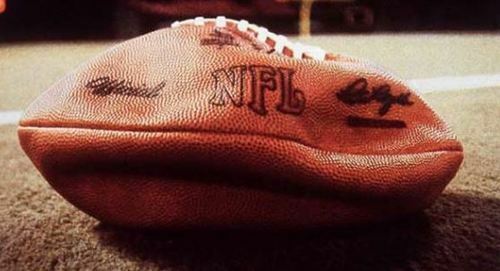 For those in the sales profession, I suggest that you always keep your balls under-inflated. From your triumphant highs to your darkest lows; from your string of runs of those who say yes to those who rollback, bought elsewhere, or the deals you have to split. You have to keep things in perspective because you’re never as good as you think you are nor as bad as they say. You will have good days and bad, but no matter how high you are sailing or how often you keep failing, keep your moments under-inflated and maintain your grip on life. One of the hardest techniques to teach a salesperson is that of the turn-over (T.O.). Boiled down to simplicity, the rules for a T.O. 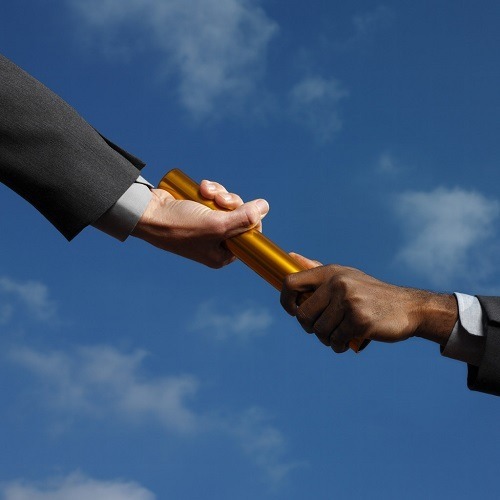 can be summed up in 9 words, “Before your customer leaves, introduce them to a manager.” That’s it!! How hard can that be, right? As it turns out, it’s very hard because we allow our feelings to hijack our disciplines. We walk customers for all kinds of reasons. (Walk is slang for letting a customer leave before introducing them to a manager) One reason we walk a customer is because we feel that we’ve made such a positive impression with a customer that we know they have no choice but to come back so instead of asking them to buy now, we sprinkle Be-back Dust on them and bid them farewell. Other times we walk customers when we are in our valley moments-these moments are when we are emotionally low; maybe we are having a bad day, week, or worse, we’re halfway through the month and we haven’t sold a single car yet-whatever the reason, we’ll bounce the, “I’m not buying today,” customer so that we can eagerly wait for the perfect lay down customer who will hopefully get our month back on track. And then there are those times we walk a customer simply because we just don’t like their attitude (I’m sure the feeling’s mutual). The list can go on and on why we won’t give a T.O., but when it comes to receiving a T.O., we’re all too willing. Never take a T.O. from a salesperson at another dealership. Picking up where another salesperson left off is like you giving your competitor the PIN to your ATM card and allowing him to play with your money. When a customer shows up, they’re yours. What you do next determines whether or not they will remain that way. Ask any customer if they like to shop for a vehicle and you will hear a resounding, “NO!” Think about it, if customers hate shopping for a vehicle so much, then why do they continue to shop? Customers continue to shop because no salesperson has taken the time to meet much less exceed their expectations. A doctor doesn’t assume to know why you are sitting in their office. They ask a bunch of questions in order to gain a better understanding. Once they know why you are there, then they can diagnose how they will heal you. Sure, your customers may come in weary and frustrated from shopping all day, but that doesn’t mean that you have to continue to add to the frustration simply because you’re the last dealership they visit and weren’t the first. They’re still shopping because every salesperson is taking an assumptive T.O. from the previous salesperson. Your customer may have seen many shows today, but they haven’t seen your show. Be unique, creative, fun, and positive when determining why your customer is in the market, then you can discover how to select, demonstrate, write-up, and deliver based on those expectations. It’s more profitable to give a T.O. than to receive one. Have you ever noticed when you only have 7 days left in the month, everything seems to matter? As sands of the hourglass mark the passing of the remaining 168 hours, it is at that point you miraculously can account for every one of your Ups, Demos, Write-ups, Sales, and Deliveries. First here, last gone; fewer lunches; no more huddles-nothing matters more than your working feverishly to cover your draw. Mentally exhausted; not knowing whether to giggle or cry from exasperation, you live to see another month, but now face the daunting task of having to start it all over again in 8 short hours. As the dry-erase boards are wiped clean and the dawn of optimism breaks through the horizon of rejection, your new month begins now. It wasn’t by accident you pulled out your month, it was your focus; instead of glaring at the remaining 7 days of your month, alternatively choose to focus on the 7 days beginning your new month. The greatest debt owed on the blacktop is your draw and the faster you can pay it back, the more control you will have over your month. With the beginning of a new month, many of us vow to work Bell to Bell, working from sunup to sundown in order to maintain an edge, but that edge is short-lived because you are not in “sales shape” to maintain that kind of pace-it’s like going jogging for the first time by entering the Boston Marathon. No matter your intentions, you cannot keep with the grueling pace and quit within the first mile-markers of your month. With your pride battered and beaten, you being your biggest critic, you settle into what you know best, working the 2:00 offense in order to pull out another month. You cannot maintain a sprinter’s pace the entire month, so instead focus intensely on the first 7 days because doing so, will chart the course of the rest of your month. In the first 3 days, you need to be “on the board” with your first sale and by the 7th day, you need to have your draw covered. 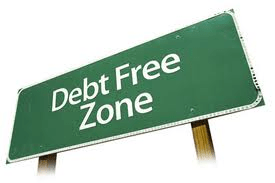 After that, the month is all yours- you are debt free! When you are released of an obligation, you can afford to take risks-every Up is not a Do or Die situation determining the outcome of your month. When you are released of an obligation, you now can focus on being more creative with your presentations-allowing your true personality to shine through, becoming other’s centered in lieu of being ME-focused. An impoverished month begins with an indebted mindset. Seven days owed, 18 left to live freely. You can say the message, yet convey the wrong meaning using poor body language. Actions speak louder than words- bring your words to life by body-building your way to a sale. Here’s how..